At its core, EasyVan by lalamove aims to transform the entire last mile delivery industry globally. Since its founding in late 2013, lalamove has connected hundreds of thousands of users to drivers on its smartphone based platform. 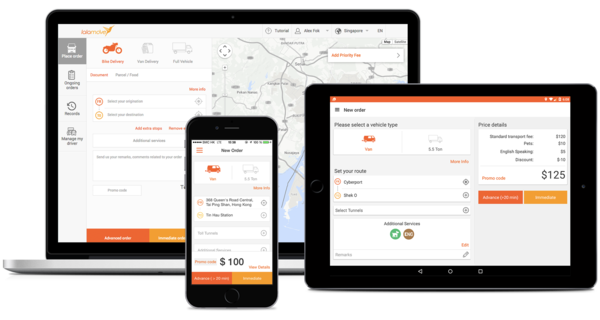 Our mobile application allows users to quickly find the best drivers nearby to help move their goods with only a couple taps on their smartphone. Tens of thousands of drivers have registered with lalamove and we are able to match them with nearby customers with delivery needs that fit their capabilities. What makes Hong Kong an ideal place for mobile apps? Hong Kong is an international city with all the necessary software and hardware. 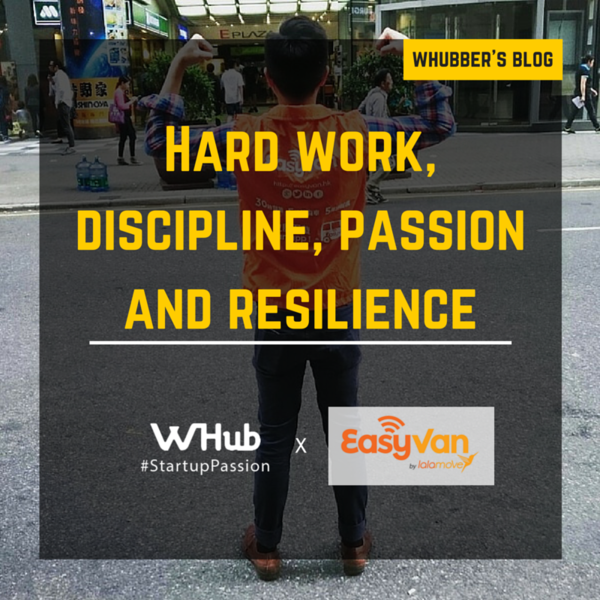 We have lots of amazing young talents who are passionate about start-ups like EasyVan. The number of co-working space has grown to almost 50 in 2 years. Our local government has also embarked on a number of strategic initiatives such as Science Park, Cyberport, ASTRI, and the recent addition of Innovation and Technology Bureau,to support entrepreneurs. Forbes recently names Hong Kong #1 Tech Capital to watch after Silicon Valley and New York. In my opinion, Hong Kong is well positioned to become the leading Tech Capital globally. EasyVan has reached 100K users in eight months after it’s launching, what is the biggest factor that drive EasyVan to success? EasyVan found a need in the market and we have been able to provide value to both users and drivers, faster and more reliable delivery service. In terms of success factor, I would say it’s our people and their ‘grit’, which is one of our corporate values. After I graduated from college, I walked the same path which most people do. I worked in consulting and completed my MBA in Australia. But I always felt that something was missing. 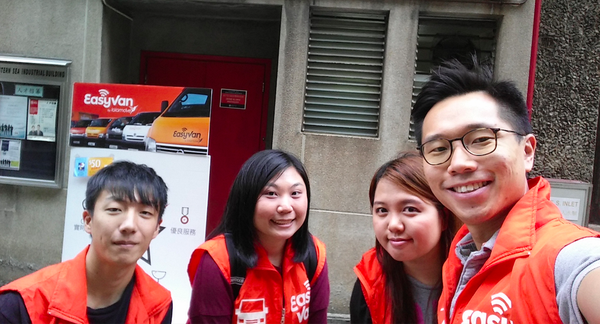 In March 2015, I quit my job from corporate and founded a trading business (my third venture) and in so doing, I became a customer of EasyVan and now Head of Hong Kong for them. Work keeps me up at night and keeps me going when I wake up. I still remember those days when I was worried about getting paid from my customers, not meeting mortgage payments. And being an entrepreneur, you need to weather storms and thrive in adversity. What is your dream and vision for EasyVan? To be the largest last-mile delivery company globally, your local delivery partner. We are already a multinational company with operations in Hong Kong, Taiwan, Singapore, Thailand and 10 cities in China just after 2 years. Our vision keeps us going every day. EasyVan has one purpose, how to become better than whom we were yesterday by adding by value to our users and drivers. If you have an idea, just do it. Tried and failed is much better than not trying at all. However, people should also know that most start-ups fail. The ones that you know of Google, Facebook, Instagram, LinkedIn account for 0.01%. Startup is a lot of hard work and requires someone with discipline, passion and resilience. It keeps me up at night and keeps me going in the morning. Life is all about trying, failing and learning how to get back up.